VizTerra is the state of the art in professional 3D landscape design software. As you load your Pool Studio project in VizTerra you will have access to new 3D landscape design tools. Remember that you must have a VIP Membership in order to edit your design in both Pool Studio and VizTerra. Plants and Trees in VizTerra: VizTerra features nearly 1000 plant and tree species, each fully rendered in 3D. Your Pool Studio project will be enhanced with hundreds of additional plant and tree choices. 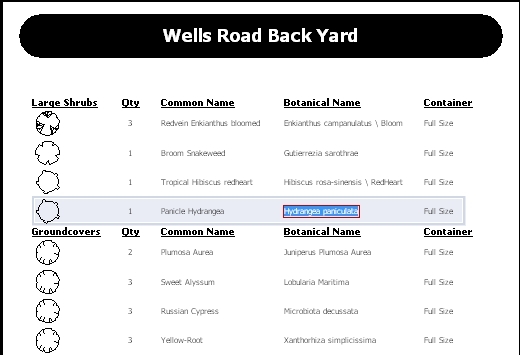 Botanical Names: VizTerra allows you to select how your plants and trees will appear in the library. Plants and trees in VizTerra may be displayed by Botanical or Common names in the library. 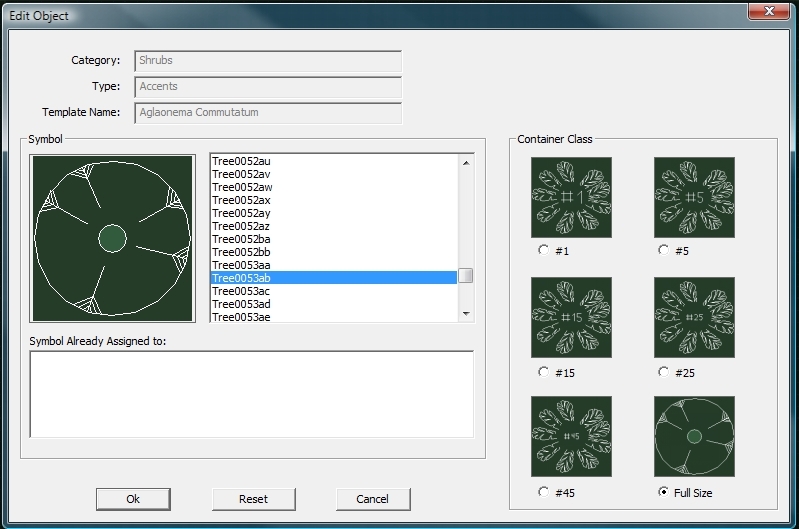 Symbols: In VizTerra you have the ability to assign custom symbols to the plants and trees and other items in the library. 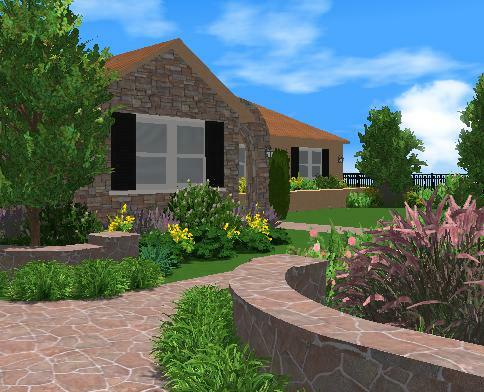 You can choose from over 2000 industry standard landscaping symbols or create your own. For plants and trees you can also assign a unique symbol for each of 6 different container classes. Automatic Plant and Tree Legend: VizTerra allows you to automatically generate a plant and tree legend in the Construction Stage. The legend is customizable and allows you to choose which items will appear. The quantity of each plant and tree is listed along with the botanical name, common name, and container size of the plant. No Swimming Pool Design Tools: VizTerra has different Stages than Pool Studio. There are no Pool Shape, Spa, Pool Depth, or Steps and Benches stages. While working on your project in VizTerra you will be able to select your pool and move it, but you will not be able to adjust its shape or its depth. You will also not be able to draw a new pool in your design. While you can adjust your spas and draw new ones in the Water Features stage you cannot change any spa depths. You may move your steps and benches but not adjust their shapes and depth or draw new ones. In general, you will want to return to Pool Studio to work on your pool. Library Items: Some library items, especially pool equipment and accessories, available in the library in Pool Studio are not available in VizTerra. If these items are present in your design you will be able to move them, but you will not be able to add new copies until you return to Pool Studio. Favorites and New Items Added: Items only available in Pool Studio that you have saved to your Favorites list will not appear when in VizTerra. The items are still saved to your list and will reappear when you return to Pool Studio. The same applies to VizTerra only items saved to Favorites while in VizTerra. They will not appear when you are in Pool Studio. The New Items Added list works the same way. VizTerra Assistant: Just like the Pool Studio Assistant, the VizTerra Assistant helps you achieve your full design potential with VizTerra. You can access the help system at any time in the program by going to the Help menu and selecting VizTerra Assistant. Click VizTerra Assistant to access the VizTerra help system right now. VIP Suite Membership: In order to design your projects in both Pool Studio and VizTerra, you will need a VIP Suite Membership. For more information on all the benefits of VIP Suite Membership, please contact us.